Preheat oven to 350°F. Line a 9x13” pan with foil and spray well with cooking spray. Mix butter and brown sugar with a stand or a hand mixer until crumbly. Mix in eggs and vanilla until smooth. Mix in salt, baking powder, then flour. Stir in M&Ms and sprinkles. Spread in prepared pan. The mixture is wet so it’s best to spray your hands with cooking spray and then smooth the dough with your hands to get an even layer. 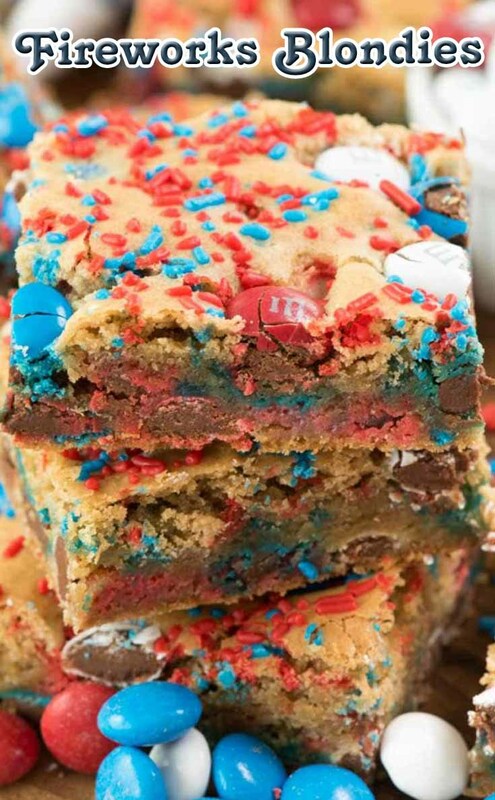 Top with extra M&Ms if desired to make them look prettier. Bake for about 22-25 minutes until they start to turn golden. Err on the side of under baked with these - they’ll finish baking as the cool and you don’t want them over baked.